‘I don’t understand, Ms Samantha. Why have you trapped me here?’ Garv asked, perplexed. Garv held his spinning head, as he looked around him. It was true. He was surrounded by twelve paintings across him and he himself was standing in the centre of the circle. He didn’t even remember which painting or direction he entered from, and it didn’t matter now as the paintings were flipping randomly. 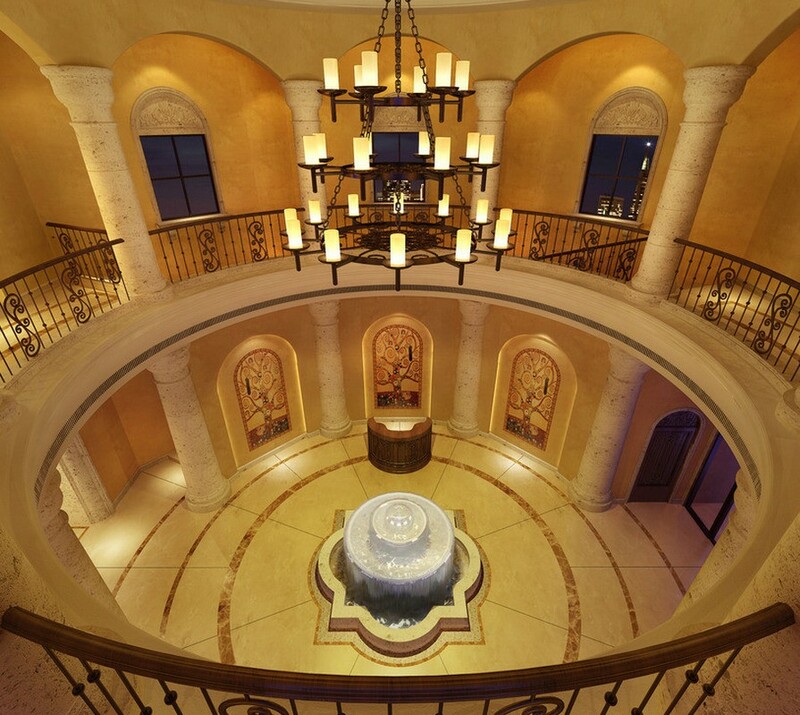 All he remembered was that from the main gate of the house to this lobby, he had to go through a maze like pathway. He didn’t even remember the direction from which he entered. He could spend his entire life figuring out the right door, but he wouldn’t be successful. The probability of finding the right door was nil, because of two major reasons – first one, every painting flipped at twelfth minute, so if he wanted to try out all the doors, he would have to run through them in less than one minute which was impossible if he was trapped in some hallway or corridor, and second – finding the right door was pure luck, he would keep trying all the doors and by the time he would again reach the circular lobby, all the paintings would again flip, puzzling him from where to start! He sat down on the red sofa. There were four such sofas facing the centre table. ‘Fine.’ Samantha opened the cabinet under her sofa and took out a new bottle. She had arranged everything in fours just to confuse her guests to death! Beneath every painting, there was a drawer, and in every drawer were some things Samantha kept including Voodoo dolls and human skulls. She opened the drawer beneath the painting of crying clown and took out a voodoo doll. ‘What the hell is this?’ Garv got up with terror. ‘Go ahead, make a call.’ Samantha folded her arms. Garv dialled the number and it didn’t connect. His phone didn’t have any cellular range. He was frustrated. ‘What do you want from me?’ he screamed. ‘Patience, for starters’ Samantha prepared the doll and brought in some needles as she started chanting some verses. She treaded closer to Garv and pinched him in the arm with one of the needles and inserted that blood stained needle into the doll. ‘Now you are in my hands. Whatever you do, wherever you go, I’ll control you through this’ Samantha punctured the doll in the leg with a needle and Garv felt and unimaginable pain in his right leg. He screamed loud. Samantha took out the needle. ‘Feel the anger. Feel the vengeance against all the people who did wrong to you. Feel hatred and feel like killing them, and let me control the dark energy that surrounds you. I have talked to spirits using Ouija Boards but they seemed like good, harmless spirits. Such spirits are calm ones and possess less energy. I wanted to control something like you have on your back, something powerful, energetic and something capable of changing the law of nature. Your energy took the life of Srijeet De. I don’t know if that is a part of the natural order or not, but your presence surely enhanced it. I want to control that energy.’ she smiled. As Garv got up from his sofa, he felt a little jerk, his mind was totally blown with all that he was subjected to in last one hour of his life. ‘It would be better if you leave now. My job is done.’ Samantha pressed a button on a remote and all the paintings turned black. She opened one of the paintings and it was the doorway to the outer world. Garv ran out like a bird who was freed from a cage after year long imprisonment. He swore never to return back and headed back home, terrified and unable to think anything else.